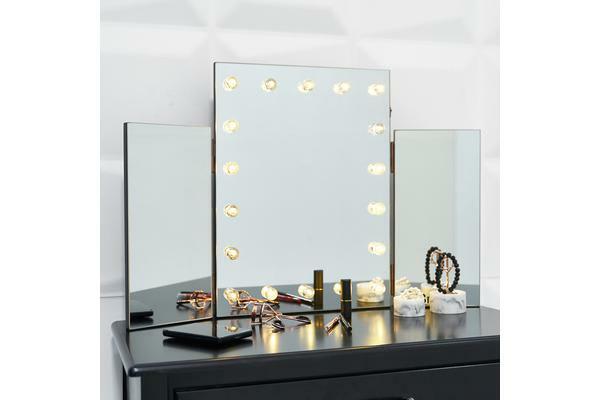 Recreate classic Hollywood glamour with the Beautify Tri Fold Dressing Table Mirror. 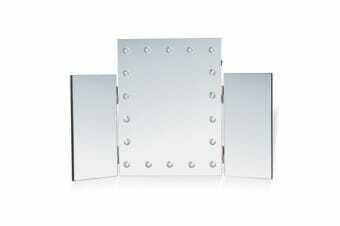 Sturdy MDF construction incorporates beautiful mirrored panels and makes a show stopping addition to your bedroom. 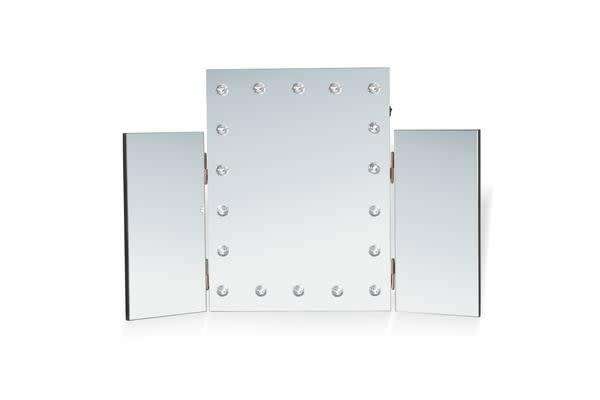 Placed simply on top of a level surface, the mirror will transform a humble set of drawers or simple dressing table into a theatrical centre piece that’s perfect for makeup application or hairdressing. Framed by 18 delicate LED lights which create a warm ambience. 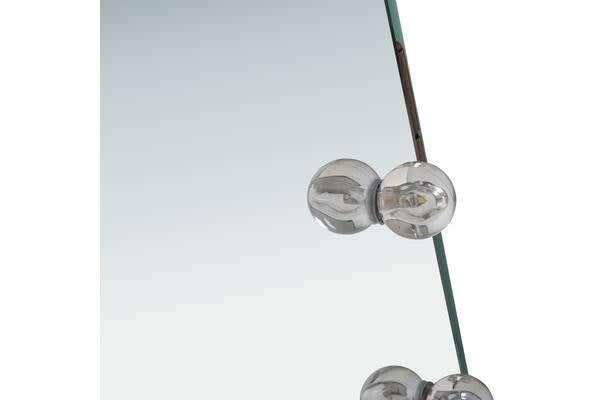 The lights operate off 3 x AA batteries (not included) so no need to house your mirror close to a plug socket.